Why should you manage multiple devices (microphones, language receivers, ...), when you can have it all-in-one? 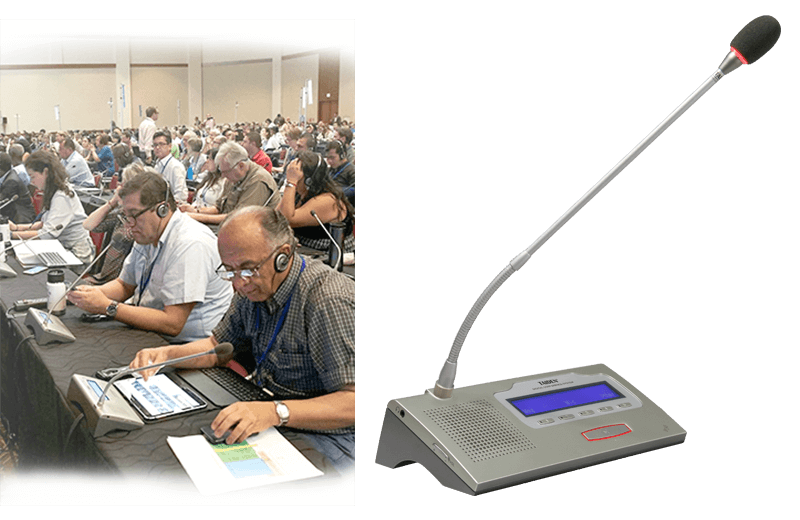 For a minimalist multilingual event space, our multi-functional conference microphones incorporate built-in channel selectors for attendees to listen to the language of their choice. 64 channels for up to 63 languages + floor. Language name display so participants can find their channel quickly. Option: dual channel selectors with two headphone jacks to share between delegates. All delegate units have a detachable stem microphone, a microphone activation button, a 64-channel selector, a built-in loudspeaker (mutes when the mic is on), and a headphone jack with volume control for personal amplification. The chairman unit also has a priority/mute key. LED light rings indicate when the microphone is active. 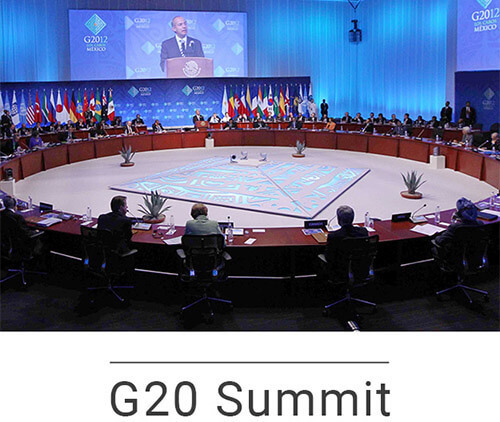 This use of conference management software is recommended for this solution. 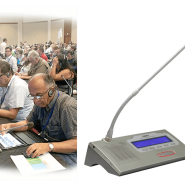 The software also allows microphone management, to take control remotely of delegates’ speaking requests, seat assignments, or video tracking. Contact us to learn more about our software management offering and operator assistance.